Clay has become an interest of many of our preschoolers. 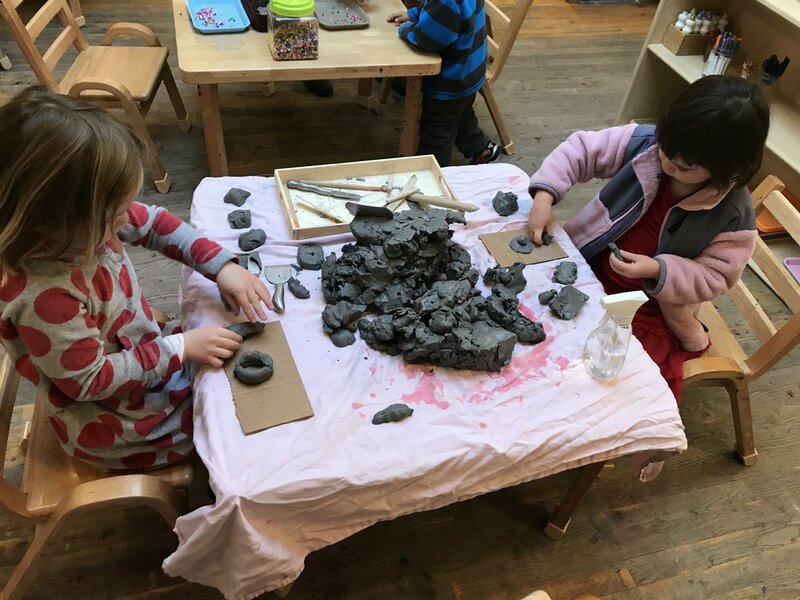 Today some of our friends added slip to their exploration-slip is used to connect pieces of clay to each other. 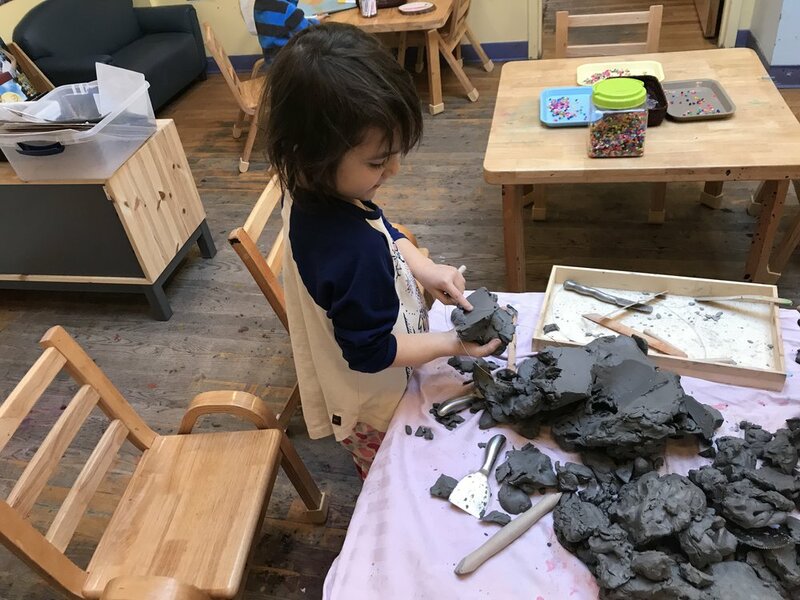 Some of the preschoolers make clay structures while others explore the tools in the clay. January 16, 2018 by webmaster.